Looking for memorable way to celebrate a special occasion, birthday, holiday or a job well done? Surprise friends and family with a gift they will always remember the gift of nurturing. From salon services to body therapies to the best facial treatments available. Bella Bleue Savvy spa and salon has something for everyone. 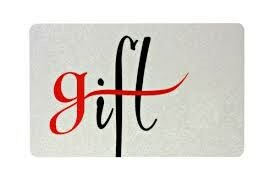 We offer a variety of wonderful gift-giving options to fit any budget. Simply choose a gift voucher or package from the options shown and then check out using our secure server. We hope you find this online service convenient. If you have any questions, please give us a call or email us today.